Quirky and cute! 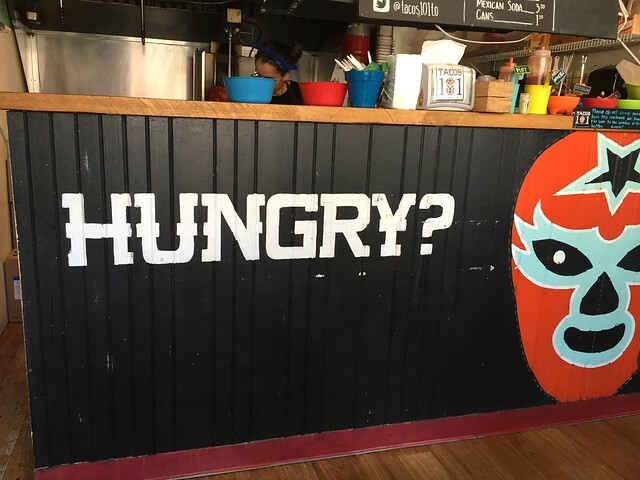 That basically sums up this taco joint, located near Yonge-Dundas Square. 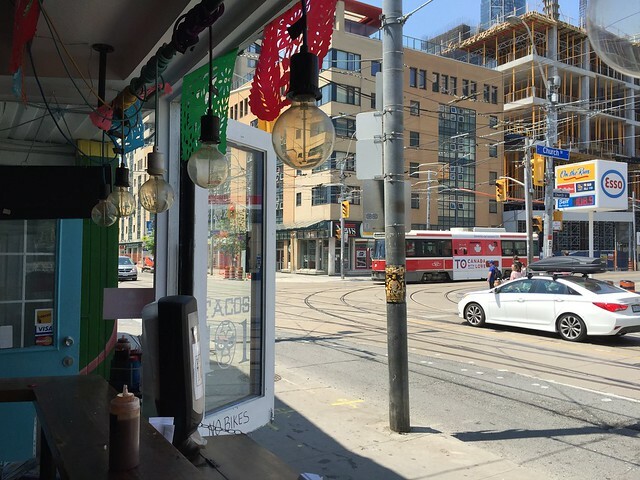 And today was the perfect day to enjoy a variety of tacos while looking out at the not-so-busy Dundas St East. It was just my mom and I, so we decided to order three different types of tacos and a side of beans and chips. 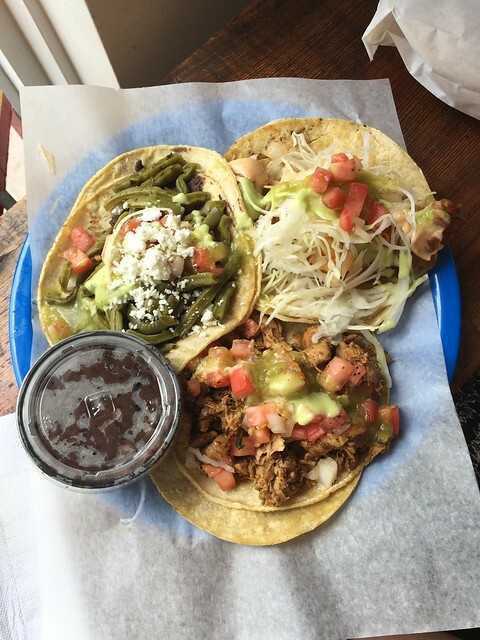 From top right and going clockwise: fish, chicken adobado and nopal. I really enjoyed the chicken, it was nicely marinated and moist. I wasn’t crazy about the fish, although I could taste the freshness. The nopal (vegetarian) was marinated pickled green beans, not bad too. 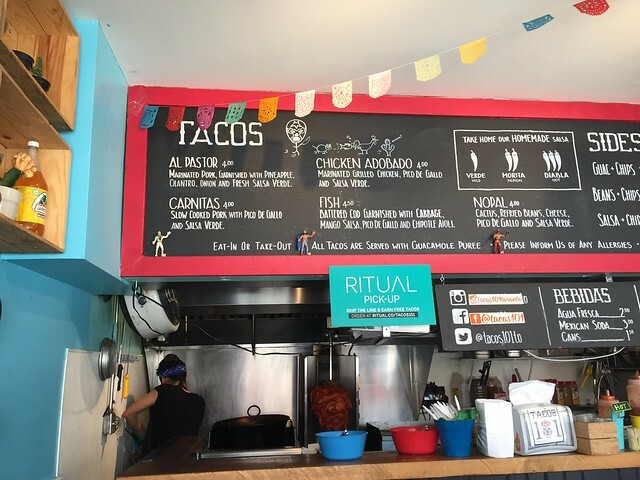 I originally wanted to order the al pastor (pork) but it wasn’t ready. We almost couldn’t finish the beans and chips. I was slightly disappointed as the beans were black beans, not pinto beans (as stated on the website’s menu). We also had a bottle of cold lime soda. Refreshing! Everything was cheap, totaling to $20$. I love the seating view, as you can look out to the street and strangers crossing. It wasn’t a hot day so it was just perfect for a spot of lunch. 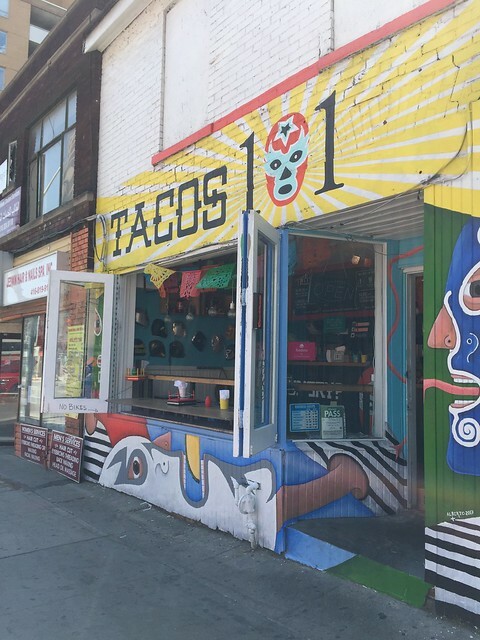 Click here for Taco 101’s website.